If you cannot make up your mind between an ice cream sundae and a milkshake, then you are going to love this new product from Baskin-Robbins: it’s a sundae, it’s a shake, it’s a NEW Sundae Shake! Keep reading for an inside scoop on this innovative new treat. The Sundae Shake is a rich, creamy milkshake with a sundae on top. Our Sundae Shake is also completely customizable, including the milkshake flavor and ice cream sundae flavor. The Sundae Shake is then finished with whipped cream, chopped nuts and a maraschino cherry. As you can see, the options for your Sundae Shake are endless, while giving you the best of both worlds between a sundae and a shake. But, if you’re having trouble making up your mind on what flavor combination to try first, the Sundae Shake is also offered in three different flavors: Strawberry, OREO® ‘n Cream, and Chocolate Chip Cookie Dough. Stop by your local Baskin-Robbins and give this innovative product a try! 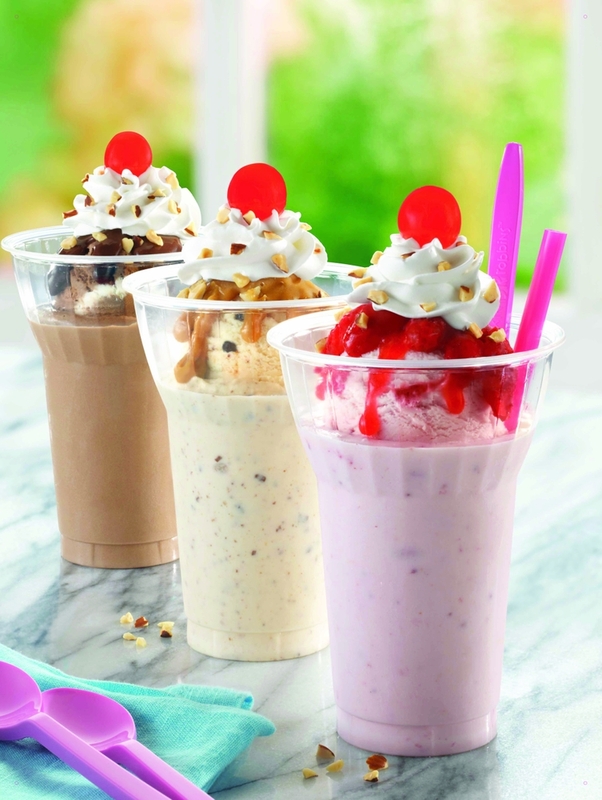 Are you on Team Sundae or Team Shake? Let us know on Facebook, Twitter, and Instagram!